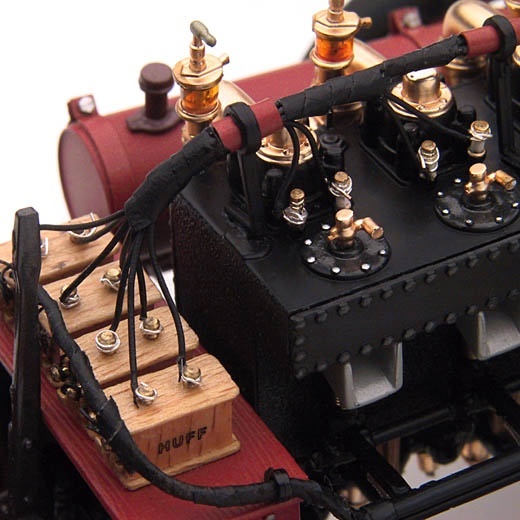 "I am a scale car model enthusiast for twenty years and have the pleasure of having some of your models in my collection. 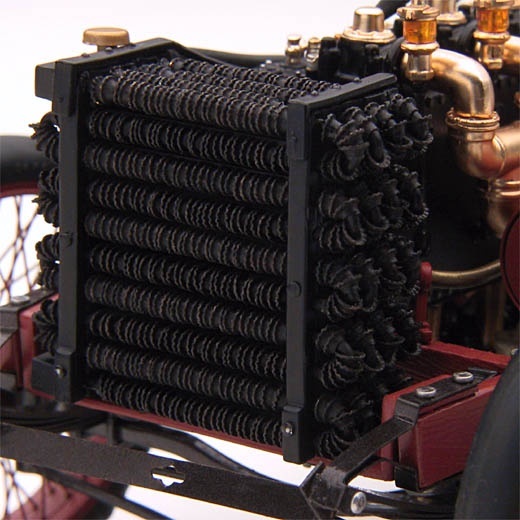 With the acknowledged quality of your car models, to have your replicas would be extremely rewarding for any car collector." Every great story has a beginning. The Ford '999' - named after the New York Central's record-breaking steam locomotive - is at the root of the Ford legend that spans over 100 years. 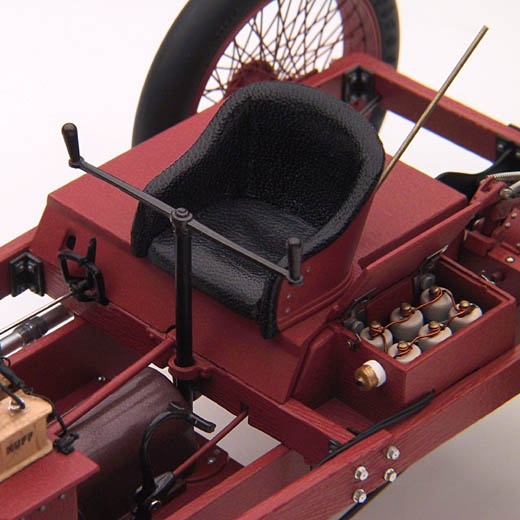 In 1901 Henry Ford was the driving force behind the construction of a car to challenge a race on the oval in Grosse Pointe, Michigan. Contrary to expectations, in the hands of Barney Oldfield the Ford racer won! The $1,000 prize, and more importantly, the publicity are credited with starting the Ford success story. 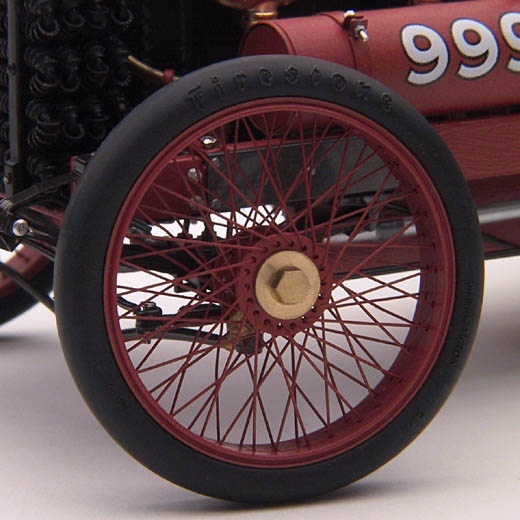 Exoto could not resist crafting this superb record breaker, the first Ford racing car ever to complete a race! 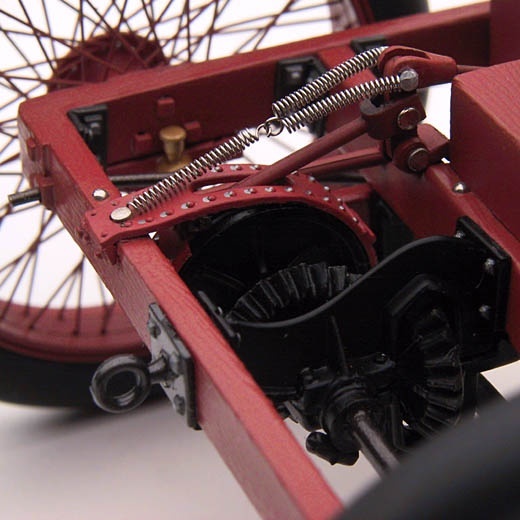 At first glance it may not look complex, but recreating every furious detail presented the Exoto engineering team with challenges previously unseen in all our years of modeling. 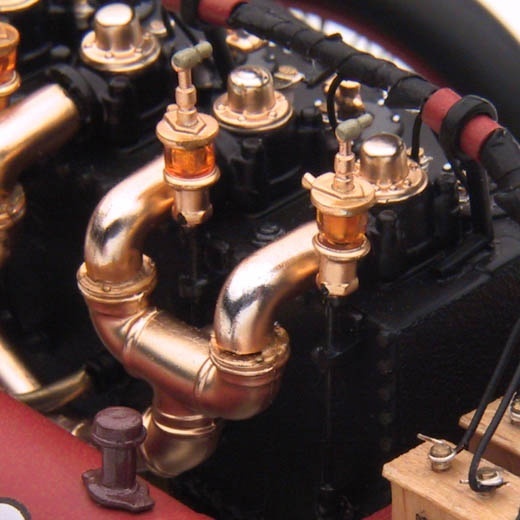 Engineering began with the inner workings of the 1,155.3c.i. 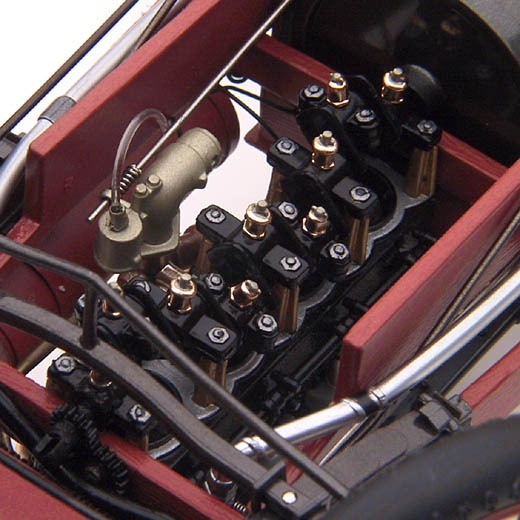 (18.9liter) four cylinder engine with its open-bottom lubricated by grease canisters! 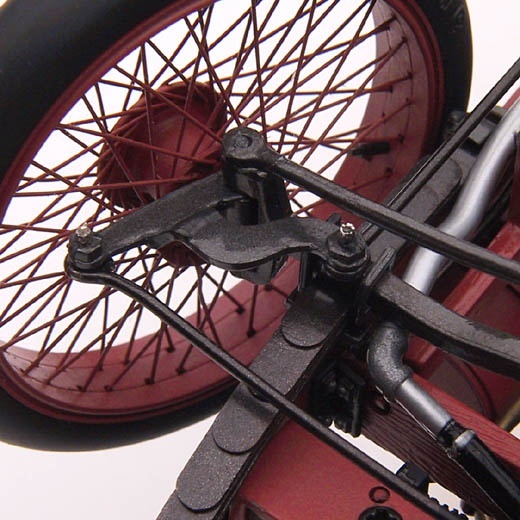 We sought to reproduce the exposed crankshaft and pistons in grand 1:18 scale. 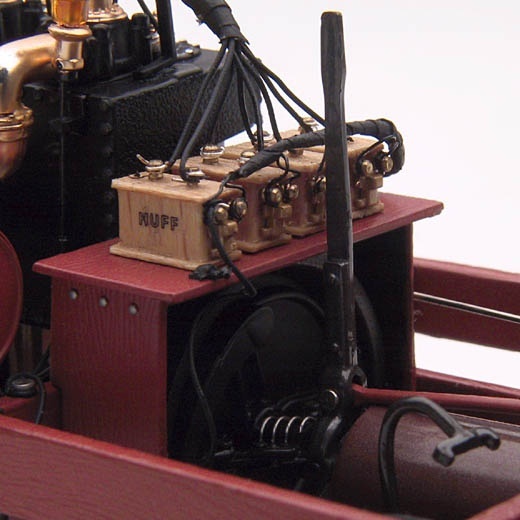 We connected everything together to make the most sophisticated replica we've ever produced: At one end of the crank we attached the flywheel, a driveshaft that meets the rear axle at a working crown wheel and pinion, driving lovingly hand-laced genuine brass wire wheels. Driven off the front of the engine are fuel and water pump gears! 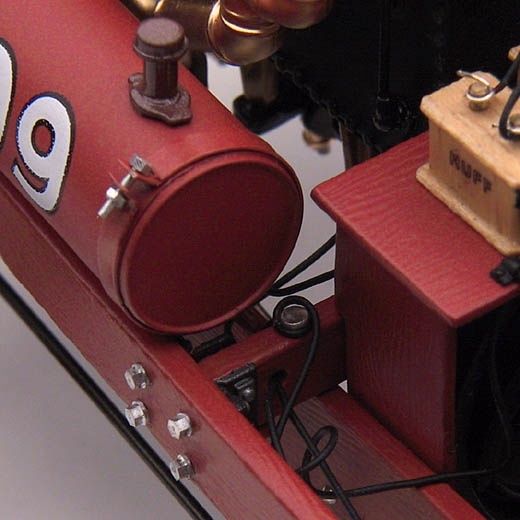 Some of the other special features include a radiator created from over 650 pressed brass fittings threaded onto the cooling tubes, machine turned nuts and bolts, highly detailed engine, hand-wrapped wiring harnesses, wired beer can-type batteries in a locking box, and much, much more made from wood, wood veneer, zinc, brass and photo-etch metal. Functioning features include: steering with accurate mechanical action, functioning brass leaf spring suspension up front, engine flywheel brake function, foot brake actuating the rear axle drum brake, spring-loaded pedals, fuel mixture adjustment, and more! With this new addition to our Racing Legends series, Exoto brings you more than a replica: we bring you the best reproduction of the real thing! Reserve your own numbered, limited edition Ford Racing Legend -- call us or order on-line -- let us build one for you today! This is an Exoto that must be seen and touched to be appreciated. It will surpass your expectations!